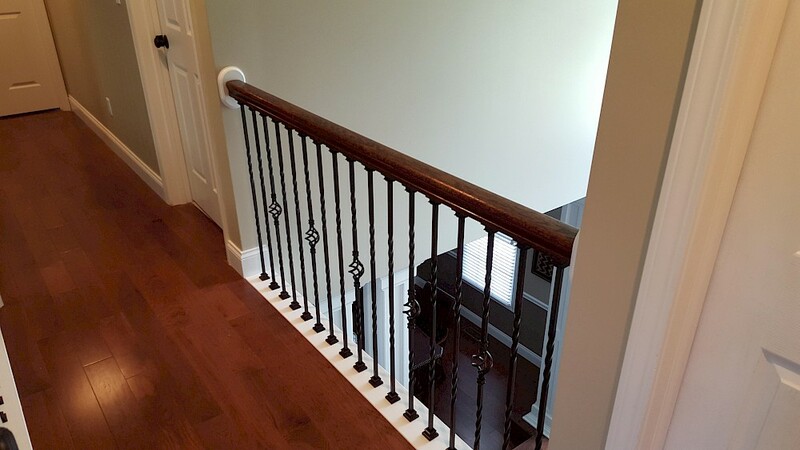 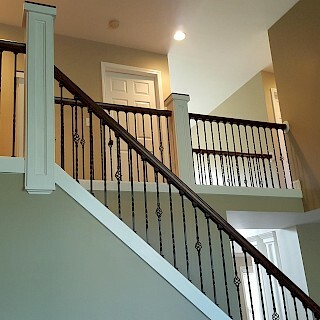 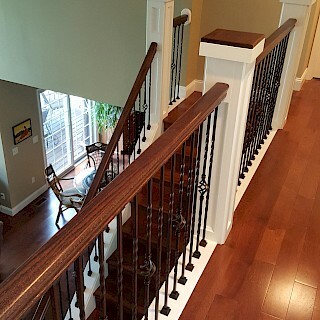 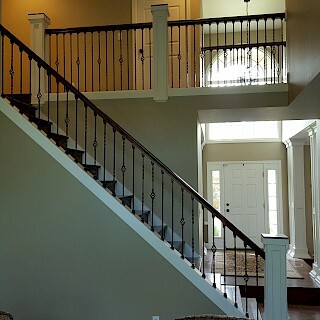 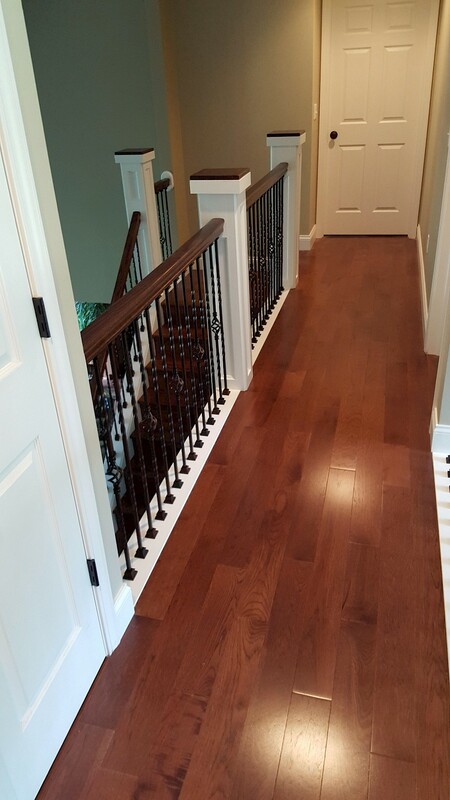 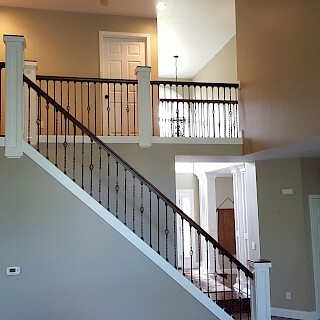 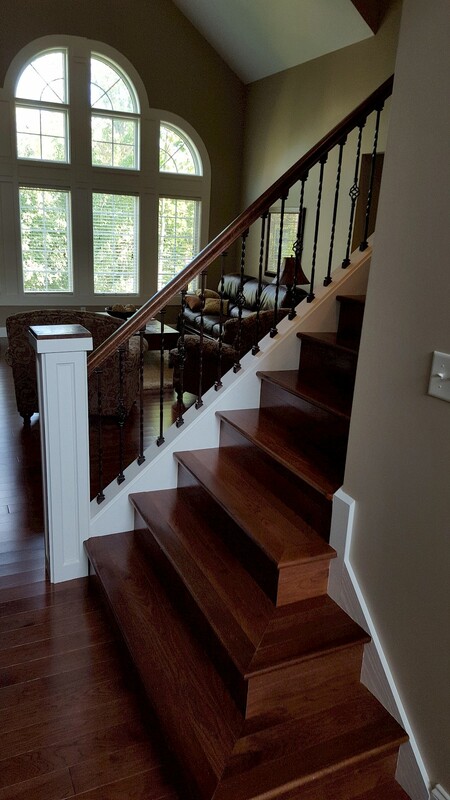 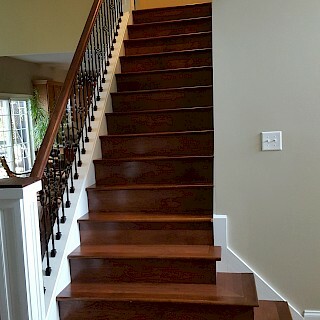 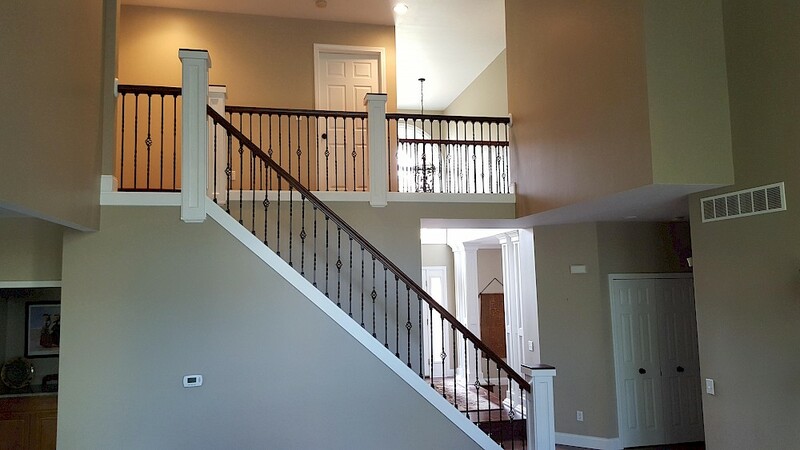 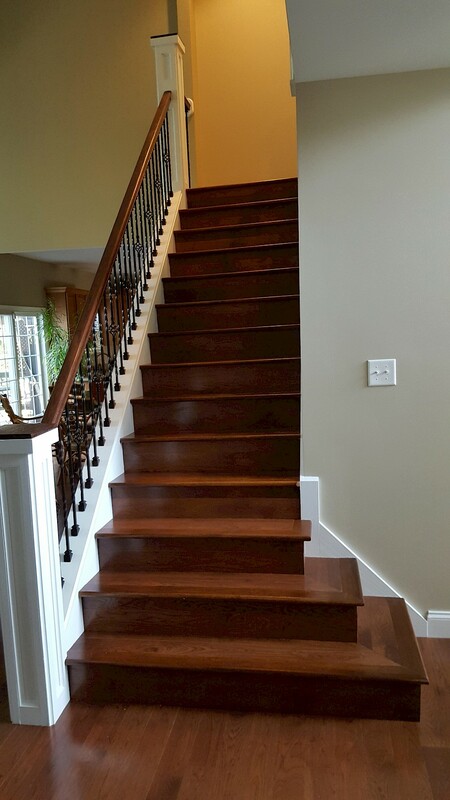 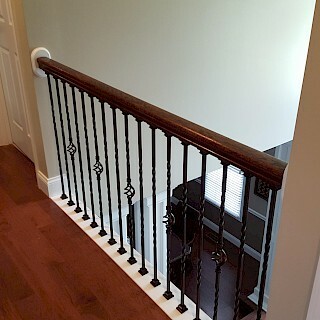 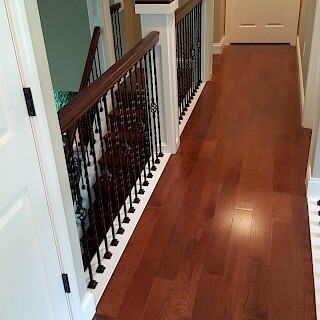 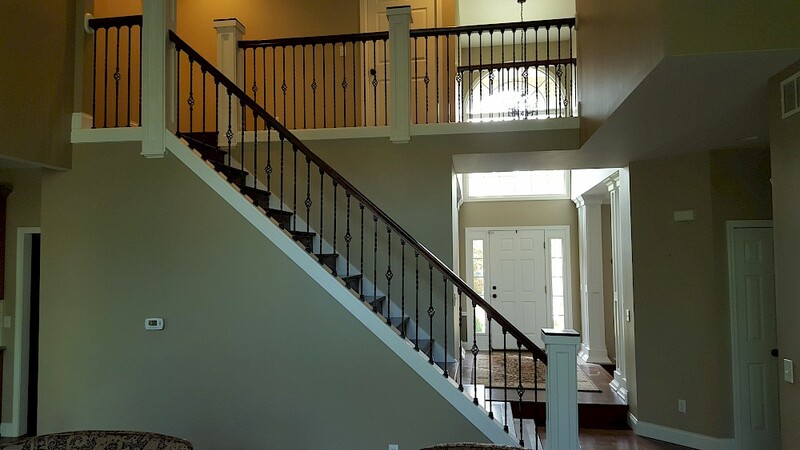 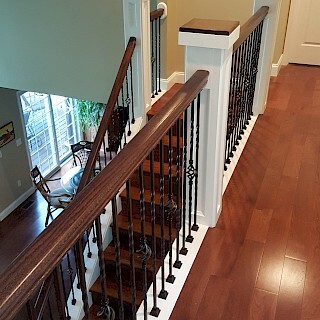 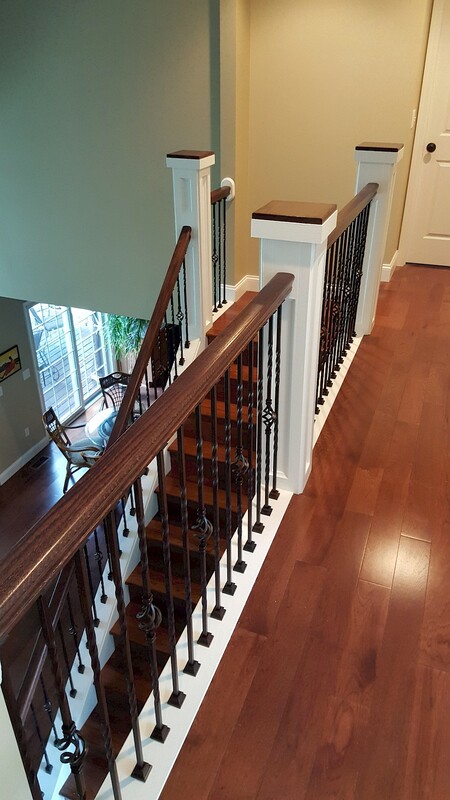 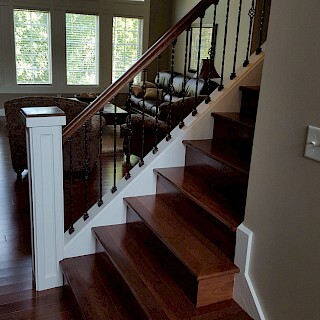 This Saline remodel of a stairway started with the removal of the existing oak balusters and handrails. 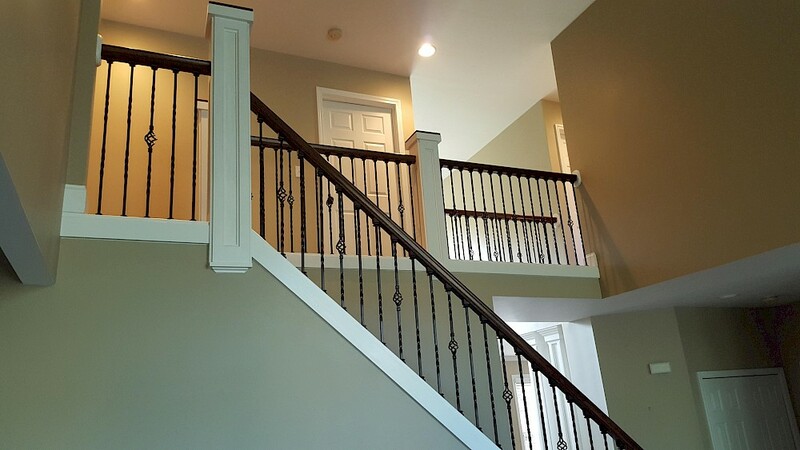 The remaining wood was then painted and restored. 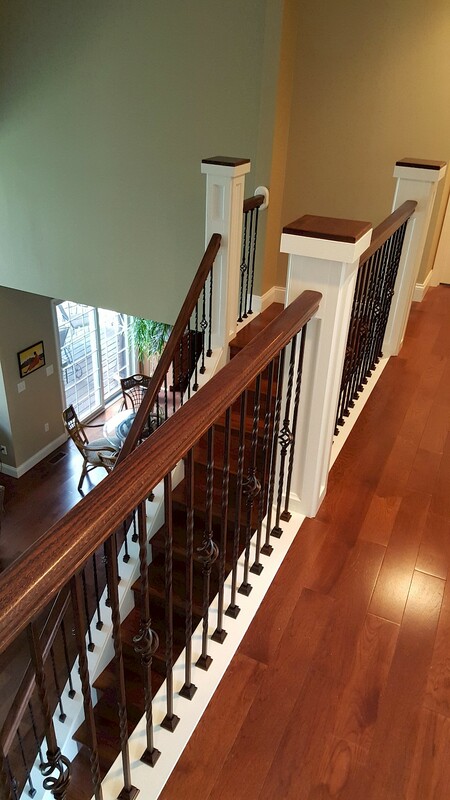 The new oak handrails were then stained and carefully put into place, while the new replacement iron baluster was precisely installed.